A while back I heard an interesting take on the true meaning of the Information Age. The premise of the speaker’s argument was that we shouldn’t think of it as the Information Age because there is so much information at our disposal, but instead it’s because we have the ability to pull from that sea of facts and figures only the information relevant to what we are looking for. This idea is particularly applicable when it comes to Big Data, and for marketers there has been an explosion in the volume, variety, and velocity of data we can access. For companies, like Amazon, that can harness this information and act upon it, they have the upper hand while the rest are left floundering in it. 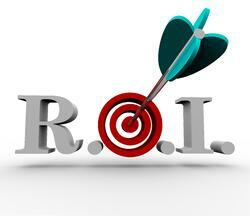 Of the wealth of data marketers can draw from, arguably the most important is that related to ROI. The bottom line drives everything in business, and marketing is not exempt from scrutiny here. Even so, it is surprising how many companies are spending dollars on marketing initiatives, yet are failing to tie such efforts to financial outcomes. One of the issues endemic to this isn’t the lack of data available, but rather the deluge of data marketers can drown themselves in. According to a 2012 joint study conducted by the Columbia Business School and the New York American Marketing Association entitled Marketing ROI in the Era of Big Data, 39% of marketers at major brands claimed they could not turn data into actionable insights. Furthermore, 37% made no mention of financial outcomes when defining marketing ROI, and 57% reported they are not basing their budgets on any ROI analysis. The study points out that having digital data doesn’t mean it’s easier to link digital marketing to business objectives or to clear ROI. This goes back to what I mentioned earlier about the Information Age and the ability to sort out only the useful information. For marketers looking to show their financial worth, ROI is then contingent upon the Return on Information they invest their time and focus. In other words, showing real ROI hinges on gathering only the right information, from the right sources, to make the right business decisions. The essential building block for Return on Information is to set clear business objectives for all digital marketing efforts. Without this it’s a rudderless ship making it difficult to navigate through which metrics are pertinent and which are just data points. As a general example, take metrics such as likes and tweets from your social channels and tie them to the universal metrics related to key performance indicators (KPI). Naturally your business objectives may vary, and as such, you metrics will vary too with eye on consumption, sharing, engagement, lead generation, or sales analytics. Ultimately, though, these should tie in some way back to the financials in order to look good to those outside of marketing. This wouldn’t fly with Debbie Qaqish, Chief Revenue Marketing Officer at the Pedwitz Group. In fact, Qaqish dismisses all activity-based digital marketing metrics (sharing, consumption, etc.) as “who-gives-a-flip” data. Put bluntly, this is not what CEOs want to see. Instead she suggests looking at statistics such as the number of sales-qualified leads, the percentage of sales-qualified leads to opportunities, the percentage of conversions to close, the percentage of leads contributing to the pipeline, and the number of days to close a lead, just to name a few. As a final note, both Qaqish and the study make the interesting suggestion of placing emphasis on the human factors involved with getting a return on information. Qaqish mentions conducting a skills analysis of marketing teams to assess gaps in knowledge and training that would help departments attain a better revenue-marketing model while the Columbia University/NYAMA study recommends both communicating marketing ROI goals across departments and incentivizing employees for meeting these same goals. The takeaway in all of this is that, when determining what information is useable from among all the data that exists, start by drawing a line that ties to your company’s overall business objectives and extend it to factors related to financial impact. It’s not that all other data is necessarily bad; much of it may be useful within the marketing department. However, when it comes to Big Data and ROI, make sure to get a useable, actionable return on the information your company focuses on.